Three farmers allegedly committed suicide in separate incidents in Nashik's Malegaon taluka during the last 24 hours, police said today. A 33-year-old farmer, Ganesh Himmat Bacchav, resident of Sonaj Takali village, committed suicide by hanging himself to a tree at his agricultural land yesterday, they said. Ganesh was apparently upset over the continuous drought for three years and was finding it difficult to meet the medical expenses of his paralytic father, disabled younger brother and daughter, said nayab tahsildar Amit Pawar, who did the 'panchanama'. In another incident, Mahesh Bansilal Sonawane (33) from Padalde village, ended his life by consuming poison at Pimpale-Shivar yesterday. He was found dead at a field yesterday afternoon, police constable S K Bogir said. 42-year-old Pravin Bhatu Magar, a farmer from Zodge village, also committed suicide by consuming poison yesterday, an officer at Malegaon's taluka police station said. Police said Sonawane and Magar took the extreme step as they were stressed over loan burden and crop loss incurred due to inadequate rainfall. 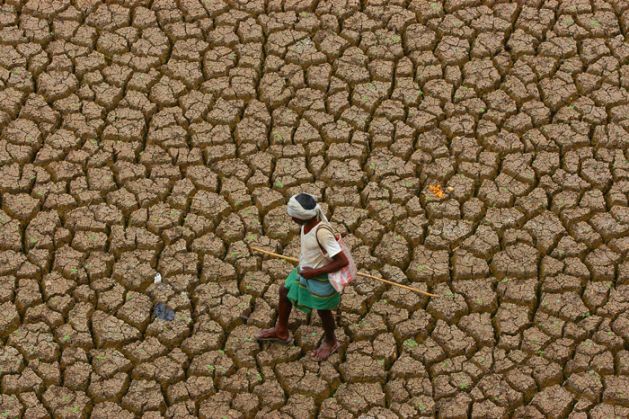 Notably, several areas of Maharashtra have been reeling under drought owing to less rainfall this year, with farmers bearing a major brunt as they are suffering crop losses and facing heavy debts.